We spent the weekend trying to pack a few boxes. I haven't really done much, partly because there's just sooooo much to do and partly because I am in denial and refuse to accept that we're moving. I am also potty training William (yes, I am crazy - but it's finally working!) 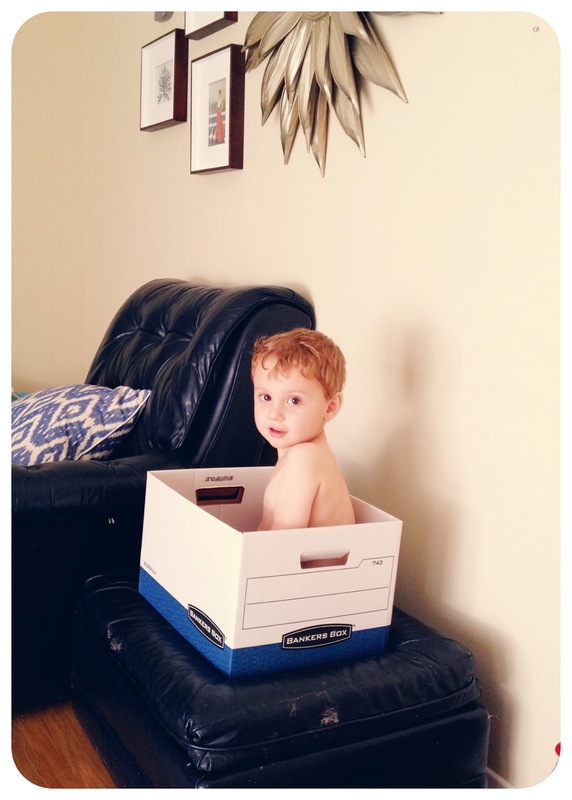 so he was naked most of this week as well and one day I looked over to find him sitting in a banker's box watching Lady and the Tramp. Cracked me up. At least I know he's ready to come with us. Whew! MOVING???? How did I miss that news Elizbeth...are you coming to Blue Hills in Canton? teeeheeee!